Welcome to the convenience of ebooks: available anytime, and easy to "search inside"
All purchased ebooks are for reference, and cannot be downloaded in their entirety to individual users. Printing or saving a limited number of pages is permitted. Purchased ebooks are available via commercial platforms, such as Ebsco or Ovid. Help contains tips for optimizing the features of each platform, such as individual login for keeping personal notes and bookmarks. Who can use our ebooks? On Campus: All ebooks are available for everyone to use. Off Campus: Open-access ebooks are available for everyone. Purchased ebooks are available for current Life West students and faculty. Titles are sorted by classification (call number), so that similar topics are together. 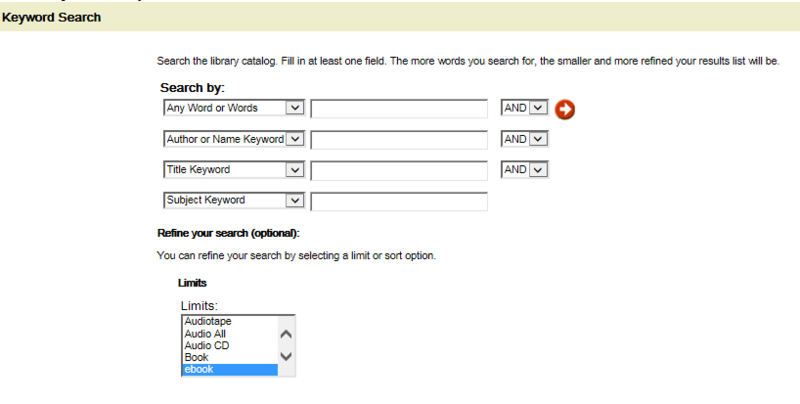 TIP You can limit a Keyword Search to only find ebooks. Enter an Author, Title, or Subject keyword > scroll down to Limits > select ebook.